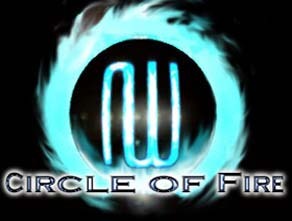 The Circle of Fire Corporation (CoF) is a galatic-scale mega corporation that originates from planet Meta of the COF system. While the corporation mainly deals with spacing-faring technology and production, they act as the closest thing Alphaworld has to a government due to their control of over 98% of the planet's space industry, travel, and defense. Modern space travel: the manufacturing and selling of the global space fleet, both civil and military. Modern transporation: the implementation of personalized teleportation. Modern communication: Interplanetary FTL communications and universal translators. CoF first made contact with Alphaworld in July 11th 1994, and over the course of a year triggered a shockwave of reform throughout the world. SW City declared it a new age, citing the start of the Corporate Era. CoF first introduced itself to Beetlehorn Spacestation, Alphaworld's only space station at the time. The corporation made no delay at making its sales pitch to transform the world into the modern space age. However, CoF had no prior experience with serving anarchist worlds, and was unable to centralize any form of sale to anyone. Despite the world's post-industrial state, there were simply no organizations large enough to deal with CoF's offering. Over the next few months, CoF found out that Alphaworld was frequently hit by asteroid collisions, wrecking havoc on the world, and theorized that this was the cause of a broken civilization and could be easily corrected. Then on January, 1995, the JAYP-37Z0 asteroid collided, an unusually large asteroid, and devastated one of the only developed parts of the world. With the collision in everyone's mind, CoF had reorganized their marketing plan to the world, offering to use their technology to protect the planet from future collissions on a per-citizen scale. In order to do proper trade, any citizen wishing protection paid CoF, whom then registered the citizen as a galatic citizen on their behalf, and would keep some of the fee as a commission. With a new sense of direction and urge to grow, corporations around the world exploded, aided by agents of CoF. 1996: Grays, one of the predominate races of the galaxy, begin to inhabit Alphaworld. 1996: Early genetic testing spawns the creation of Bird-Enhanced, or 'birdes'. 1998: Hovercrafts, already a native product of Alphaworld and ahead of their time, were rapidly made more feasible and found their way as a pratical civil vehicle. Many new startup industries joined in such as Nakemura Heavy Industry, DCorp?, CommieCorp Hovercrafts. 1999: Modern alloys such as Duranium were introduced, as well as modern space propulsion, spuring new start-up industries in space travel such as TechStruction. 2001: The first personalized teleportation company opened up - Hypergate Industries? - based out of James River. 2002: Anti-gravity and FTL communication technology is introduced, spurring the start or reform of new corporations such as OniTech and Antworks?.